Want to connect with Jeremy? You provide the paint and we will provide all other things needed. My name is Abrahim Hebbaj and I have some painting experience non work. Alexander Scott we specialize in interior exterior painting. 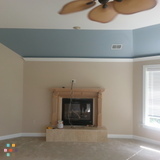 Experienced Painter with great attention to detail and cleanliness.